The C&IT Awards 2016 attracted more than 500 event professionals for our biggest event to date. Watch video highlights of the ceremony here. 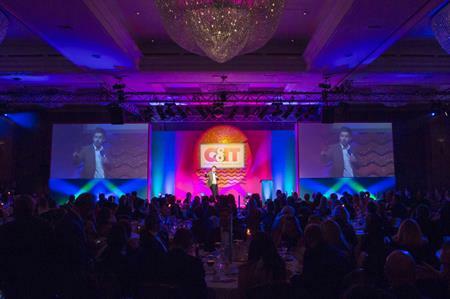 The sixth annual C&IT Awards, held at Hilton London on Park Lane, celebrated excellence in the B2B events sector. Rapport was the big winner of the night, picking up four awards including the coveted Grand Prix for its ONE Astellas Live event. Zibrant picked up the Incentive Programme of the Year for AstraZeneca - The Academy, while the UK Conference or Congress of the Year gong went to Meet & Potato for Dunelm Film Festival 2015. Following the ceremony, hosted by comedian Chris Ramday, guests hit the dancefloor with a live set provided by The Lionels and enjoyed a photo booth courtesy of Dubai Business Events.